It’s that time of year again. The day that launches a 1,000 novels. 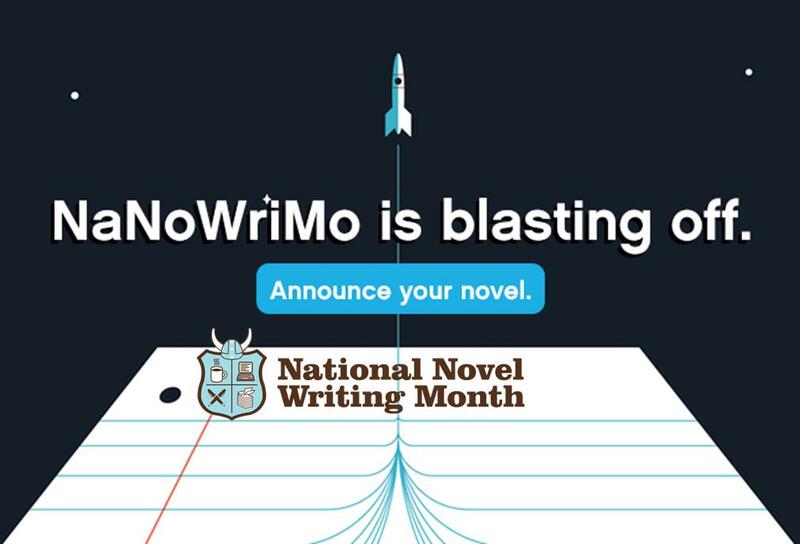 NaNoWriMo has begun! November is National Novel Writing Month, and writers around the world are likely to be hunkering down to churn out 50,000 words in 30 days (from today, November 1, until 11:59:59pm on Wednesday, November 30). The rough breakdown is to write approximately 1,660 words a day. That’s like 2-3 single-spaced pages daily. And that’s roughly my goal, but I have to decide between several projects. Last year, I’d intended to work on the sixth novel in my Syracuse mystery series. A few days into NaNoWriMo 2015, I realized that wasn’t going to work as I needed more time for tighter plot development and a better sense of the central mystery storyline. So I switched to a prequel novella. I had a firmer idea of that story. And I managed to progress it a fair bit even though I didn’t reach the 50,000 word goal. This year, once again, I find myself scrambling to pick a project to work on. Polishing novel three in my Syracuse Mystery series for publication is a priority. Novel four is in need of a re-write. And a short story collection (that fits between the two novels) is itching to be completed. I’m not sure any of these projects are particularly suitable for NaNoWriMo where the goal is to write and get the words down on the page for that first draft. I do have one novel that comes later in the series, and has a few fragments written, that might be a good one to work on. The story’s been workshopped. It’s been tested as a murder mystery party. And its first person narration may make it easier to write. And I’ve long had the idea for an epic murder mystery that would span 1,000 pages, but that would eat up several NaNoWriMos. Not necessarily a bad thing. Or there’s always that fantasy novel, the start of a series, that I could work on. Do you plan to participate this year? If so, what’s your story?